Our newest color additions to our popular jewelry armoire styles. Bright LED lights surround a full length mirror in our latest over-the-door jewelry armoire design. The natural woodgrain finishes are available in a variety of colors that will compliment your decor. Add Hollywood glamour to your life with the Free Standing Jewelry Armoire line. The bright LED lights surround a swiveling floor length mirror. The cabinet opens to reveal your entire jewelry collection. 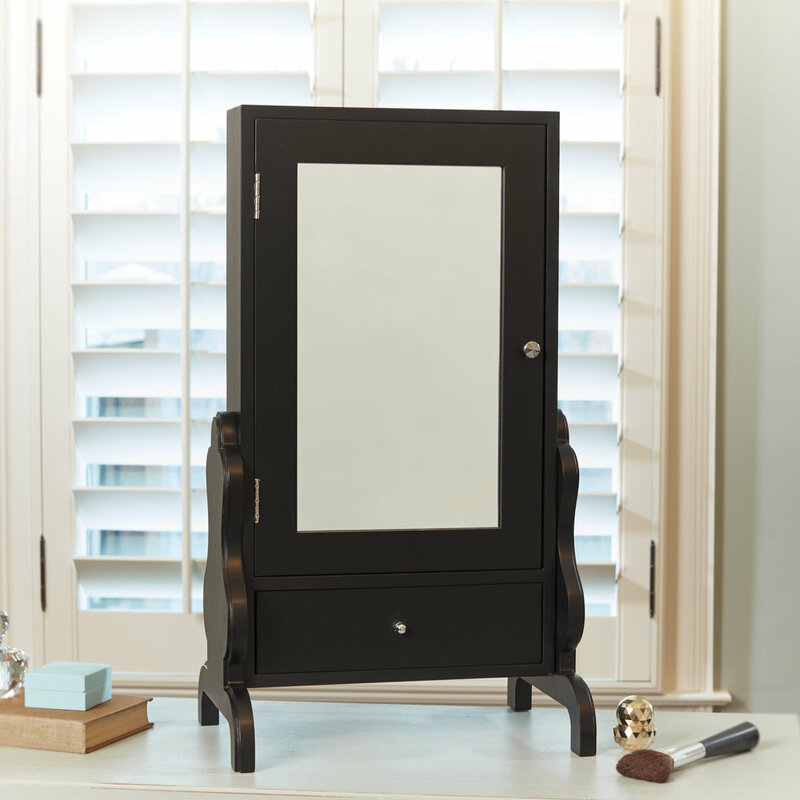 The vintage inspired design of the Tabletop Mirror with Jewelry Storage boasts trestle legs and a pivoting mirror. The mirror opens to reveal a storage space for your jewelry. The base includes a drawer for makeup, brushes, and other accessories. With the Wall Cabinet Organizer with Chalkboard, you can store and organize a variety of household items. The stylish and convenient storage solution has a smooth black surface front that works with wet-erase or liquid chalk markers.